As a Gamecock supporter, I want to begin by giving credit where it is due... Hats off to Southeast Missouri and the RedHawks coaching staff for doing what no OVC team has done since Jimmy Garoppolo and the EIU Panthers in 2013 - defeat the Gamecocks in a regular season game. The dominating streak was going to end at some point, and you closed that chapter of Gamecock football. Saturday was a TOUGH day. I get it. We all get it. We did not play our best. Hell, we didn't even play to our potential. Our Offensive Line is riddled with injuries. Our Rushing game never had a chance. Our Quarterback was scrambling multiple times on every series. Cornerbacks were left on islands against a strong armed QB. 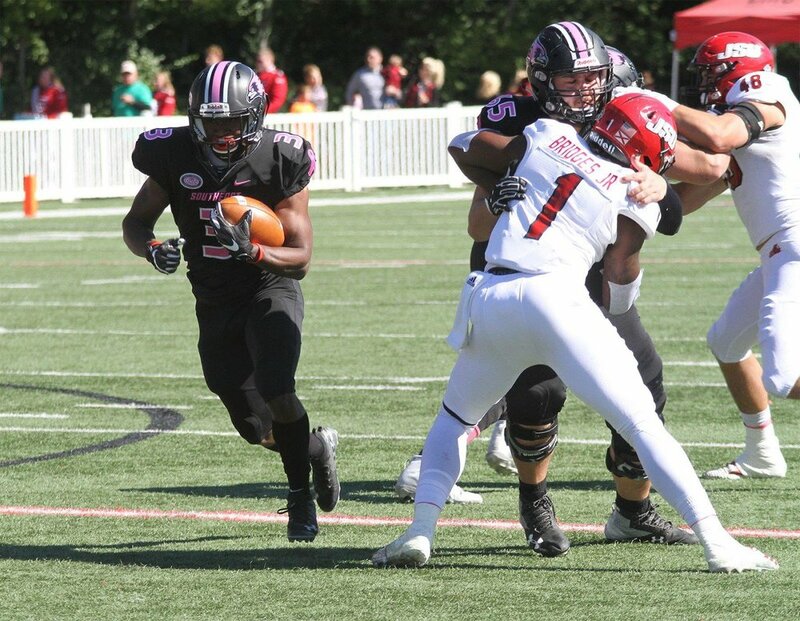 Fumbles were bouncing back into the arms of SEMO players while in stride. Interceptions were being tipped off JSU players and into the arms of SEMO defenders. To say the least, it was not a good day for the Gamecocks. I do have one question… were you really all that shocked? I wasn't. Several Gamecock faithful weren't. Those who have kept a keen eye on Grass and Co. since his appointment as Head Coach weren't. Offensive schemes that once broke school and OVC records is now predictable and consistently terrible when pressured. Special Teams has constantly been unable to flip field position when needed. Defensive talent has gone to waste with an inability to tackle and defend a strong arm QB. A coaching staff that was once touted as the “best in the FCS”, is now unable to count the number of players in a huddle and find necessary substitutions. In no uncertain terms am I saying John Grass should to be fired after the team's performance on Saturday, I want that to be known. The Gamecock faithful remember where this program was just 7 years ago - blowing a 24-point lead against EKU in the final 7 minutes of play. The last 5 years have been a tremendous period of football of Jacksonville State. What I am asking is that the powers at be need to evaluate this coaching staff and make necessary changes. Grass and Co.’s ‘good ‘ol boy’ attitude needs to be evaluated. To take some words from Preston Adams, “deep breaths” Gamecocks. The OVC title is still in play and making the FCS Playoffs is not a lost cause. Have faith that the powers in play can, and WILL, right the ship.